This app has everything that I want in the ability to arrange request by person and category. However, although there is an iPad and iPhone version. There is no way to sync between my devices I cannot do it manually nor is it done automatically. This is a crucial flaw that renders multi device use difficult if not impossible. Please fix ASAP! Correction: I see that if you do a back up and then a restore through dropbox it is possible to sync it is simply very awkward. Can this be set up to sync through iCloud? I tend to lose track of papers, so this is perfect for me! I love the categorized verses, sample prayers and section for notes of progress and details of answered prayers! It has been reorganized to be much clearer! Thanks for the notifications! Thanks for your rapid fix for the update problem. This is a very worthwhile app - it helps me to be more faithful in prayer for certain things. I expected my prayer requests lists to transfer from lite version but they didn't. So after entering the allowable limit into the lite version I was prompted that I had reached my limit and needed the pro version. Is there a way to transfer the lists from the lite version???? The good: 1. Touch ID 2. clear text and clear listing of requests 3. fast Needs Work: 1. Automatically backup to DropBox after every close. 2. give me the option to choose the opening screen. I would like today's prayers to show first. I am very unhappy with this app. I want my money back. It does not wrk at all. It has frustrated me. I wrote to support and was told he is fixing it. We'll take it off the market until it is fixed. This is an amazing prayer app. I am a Pastor that uses it daily as a way of staying in connection with our faith family. I would give it five stars however the "Overdue" tab does not work properly and none of my emails to the developer have been answered. Allow emailed prayer requests to be imported. Need to allow emailed prayer requests to be imported in to app. This would be awesome as many friends need prayer. This app has been what I have been missing in my prayer life. It has helped me with consistency of praying EVERYDAY. I've read books on how to pray but this app gives me examples with scripture to guide and validate my request to God. So much better than pencil and paper if you are a techie like me. Well thought out and complete Prayer Pro fits my needs nicely! I can't think of anything that I would like it to do capability wise or improved quality. I have had this app for several years and find it great. It is very adaptable to my needs. It has worked perfectly for me with no glitches. First I got the free version but when I got to 10 prayers it required me to get the pro version. So I loaded my current prayer list of forty some prayers. It was nice to be able to pray through the list whenever I had a little time. The next day all but three prayers were gone. I wrote to them and found out it is the ones I didn't enter a schedule for that don't show up again. The next revision will have a default schedule. I am using this again because it is really handy for me. Not working at all for iPhone 5s! 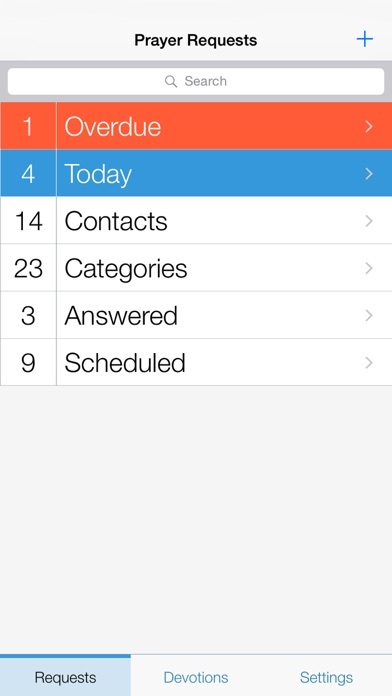 Really happy to have found this amazing app that organizes and helps keep request in forefront of my mind. App suggestion!!! Ability to share request by text messaging. I got the help I needed from Pocket Prayer!!! Don't need this. Opened 1 time. I want my money back. After searching for the prayer app that does it all, this is it!!! After using the "Lite" version, I was able to link the app to my Dropbox account, back up there, then restore to the full version of this app and viola, migrated to the full paid version- easy, terrific app love it!! Needed a prayer app to replace "PrayerPartner" by Lairdian who discontinued! You were the BEST Prayer App out there! Now, I have a place to transfer all my prayer request! Thx! Need an update for iPhone 5 please! I'm beginning to think this app has been abandoned. If so, there are other good prayer apps (i.e. Prayer Notebook and Prayer Prompter) that are worth downloading. Hopefully, we won't have to abandon this app ourselves. My last review December 2012: 1) Please make app compatible/universal with the iPad. 2) please allow app to sync with iCloud.☁Dropbox is okay but doesn't sync automatically like iCloud. 3) please update app to fit the iPhone 5 screen.📲 4) please allow a search feature. 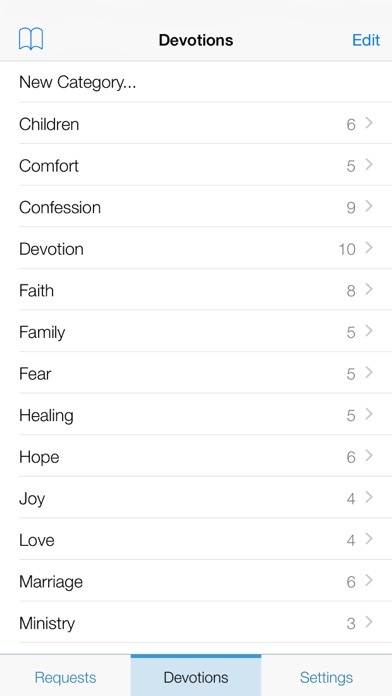 I have so many prayer requests and praises in my app that even folders don't help narrow down the search. Sometimes I get an update or an answered prayer and need to find that prayer request in my app and I can't remember which category or folder I placed it in. I spend so much time scrolling through all my prayers just so I can update a specific prayer request. 5) it's been about a year since the last update! I hope & pray everything is okay with you, Roland Yau. 🙏👍 Thanks! How often do you say "I will pray for you" only to walk away and forget to do it? With the pocket prayer pro app I don't just say I will pray for you, I create a request while I am talking to the person making the request. Then now and then I send them a note reminding them that I am praying for them. What a great tool! When my list became too long, I just started grouping them into days. Now when I say I will pray for you, I can say it with confidence! The ability to schedule prayers is fantastic (I have a different prayer for my kids for each day of the month, as well as different topics for different days of the week for other prayers); however, being able to view the schedule is severely lacking. Also, the errors in grammar in the sample prayers are difficult to get past. When I scheduled prayers, I thought they would pop us as notifications to remind me to pray. Is there an option for this? This app is awesome it keeps the prayer list organized and it allows scheduled prayers and even access to add people from my contact list. I also really like the fact that I can let them know I prayed for them by email within the app and it even sends the prayer to them. This app is truly helpful for anyone in the prayer ministry! Been using this app for 2 months. Although minor bugs existed, it was still usable. Today, after upgrading to version dated 2016-02-16, data entered cannot be saved and the apps just shuts down. Pls work on fixing the bug. I use to LOVE this app until the last upgrade. Since then, the app constantly crashes. It will not backup to my Dropbox anymore and I can't do any kind of editing without it crashing. I contacted customer support months ago and gave them a copy of my file and have heard nothing since, and the app is still broken. I was really hoping that it would be fixed by now, but it's been almost 9 months! I wasted my money and now will waste more looking for another prayer app. There are many great prayer starters in this app in many different categories: confession of sin, love, relationships, marriage, children, ministry, wisdom, etc. There are some misspellings and grammatical errors, but that is the only complaint I have and you can go in and edit the prayers to suit you. I like how Scripture is used for each prayer. If you are a new Christian and learning how to pray, this is a great tool. Also, if you have been praying for years, this app will help you pray more specifically. There is also a way to keep up with personal prayer requests. Great job! I downloaded the Lite version and bought Pro about an hour later. This is exactly what I need. I really enjoy how you can swipe through the prayers. The only suggestion I would have might be a way to do morning and evening prayers or better still prayer set lists (am I getting ridiculous yet? Haha) I love this app. It's wonderful and I am sure it will have a positive impact on my relationship with The Almighty. Can't tell you how much I love this app.! This app is the perfect blend of simplicity and functionality. It has a clean, intuitive interface that is Simple to figure out with out a lot of study. It is a tremendous help when talking to people who express needs or concerns (or if I hear them at church) to simply open this app and add new prayer request. When I say that I will pray for people, I actually do! It allows me to pray in any and all those downtimes when you have a couple of minutes here and there. It allows the spirit to speak to my heart how I can minister to the needs of others. It makes it simple to send notes of encouragement or verses of encouragement even as I am praying! I would be greatly disappointed to lose it. I use many times every day. I have many apps on my phone but this is the one I use the most next to email and texting. As some one else stated, this was the first update in years is seems. Too bad it completely messed up the app. No categories for prayer requests, no filters for requests, all previously answered prayers now lumped in with existing ones. One big mess of a list. Also, what's with the sterile and ugly theme? Very, very disappointed. Despite the previous version being ancient, it was leagues better than this. Would give zero stars if I could. Latest update deleted every single one of my prayer requests. So much information lost. I started with Pocket Prayer Lite but then switched to the paid version. Big mistake. 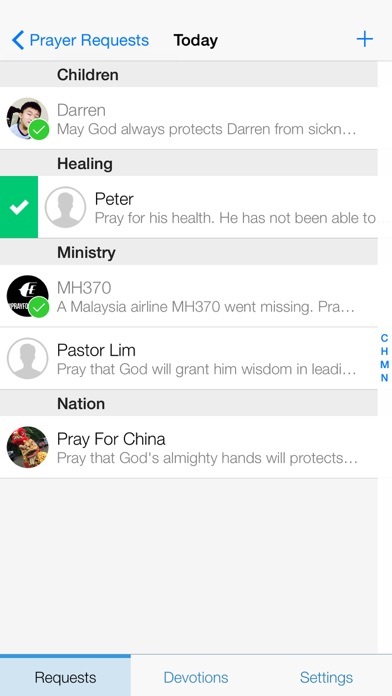 The prayers did not transfer over and were actually deleted.😔 So I started all over again, wrote 14+ prayers. My phone was lost, information erased. All of those prayers were also deleted. They were not retrieved when I reinstalled Pocket Prayer Pro. My advice. Copy every prayer on another app like Pages or in a handwritten journal if you really want to keep your prayers secure. I'm so disappointed with this app. Very well organized with prayer requests & scripts at my fingertips. App is broken went right to hell after update . Only works on request. Developer changed the App and is not what I paid for ! You guys practically knocked it out of the ballpark with your latest update! We now have a fully functioning "overdue" category, and I love the ability to update prayers with dated notes. Very thoughtful in design and application. Thank you for the improvements, and now I can safely say this is the best prayer app I have used. This app keeps a list of all my prayers and helps me remember what I need to pray about. Does everything it says it does. Love it! Thank you for a job well none. I use this app all the time and found it to be very beneficial for me. I would ask that someone look into fixing the issue with everything being put into a big list regardless of categories. For instance, if I miss a day and want to go back to my schedule and see what I missed, I can't because everything is now in a big list of scheduled requests. If someone could make this big list into subcategories that would be helpful. Got the first update to this app in ages. Went to pray today and my list was huge because the filter on all the answered prayers came off. I don't know how to hide them. Would be great if they could fix this, though. I like the feature that allows you to add an "answered" note. 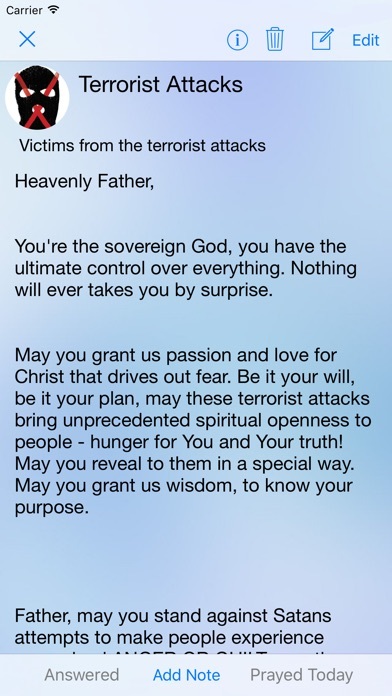 I would have given this app five stars except for the many spelling errors in the prewritten prayers, Although you can edit them yourself to the correct spelling and grammar. You can either use the prayers included in the app or write your own and you can schedule your prayers for every day, or specific dates, or once a week, etc. This app is a great idea. It has room for some improvement but overall I would recommend it to anyone wanting to organize their prayers. I am a very organized person. Sadly the one place I lacked organization was my prayer life. I forget about prayer requests or forget names and such. I love this because I can schedule it and type every fact I need to remember to pray for. I used the lite version first but it only allowed 10 prayer requests. I upgraded. For those wondering how to transfer, just download dropbox (free) and then go to your settings and backup your requests. Once you download the full app and not the lite version, you can go back to settings and tell it to sync with dropbox and they are all there! I didn't lose any of mine! Ok so for my request, I would love to be able to include pictures within my prayer request. There are some things that having a picture would help me remember who or what I'm praying for. I know you can add a pic to the request that you see as a small version but what I would like is one to be able to attach in the details section of the prayer. Just a thought! Other than that, love it so far! Update: an issue I keep seeing is that every time I try to "edit" a prayer request, it pulls up the next request instead of the one I am on. I have to close the app out completely and then reopen it to get it to work. Please fix this issue. This app is great except that it doesn't sync across devices. I am going back to my old app, even though I don't like its features as well as this app, for this reason alone. When this feature is added, I'll be back. 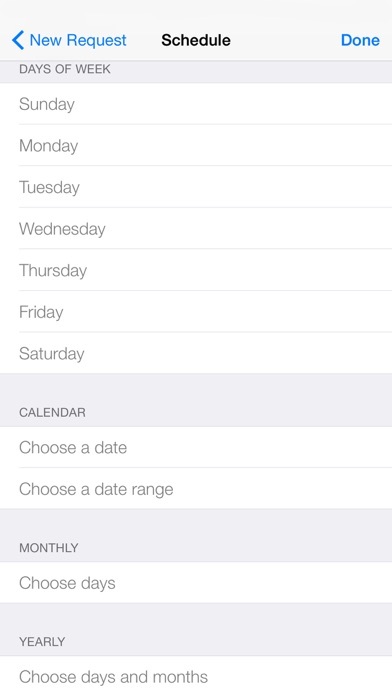 I like the layout, categories, flexible scheduling. Looks really great. Now that I've started using it, my wife would like it on her phone too. I turned on the Dropbox option and we share the same Dropbox, but none of my entries are showing up on her phone. I hope I don't have to retype all these entries in her phone. Lost a star for that. Disclosure: Apprview.com is not affiliated in any way including development, production, management, marketing, design, or otherwise with any iOS app. Apprview.com may be paid for any app purchases made by users of our website. © 2018 Apprview, All Rights Reserved.